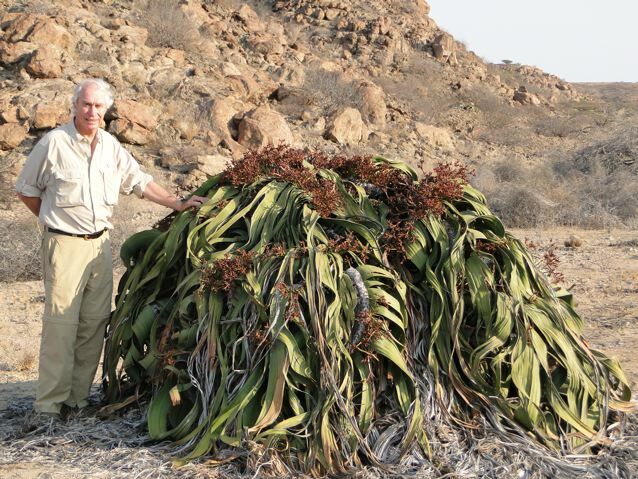 Brian Huntley standing beside a Welwitschia in the Angolan province of Namibe which is probably over 2000 years old - making it the oldest plant in Africa. 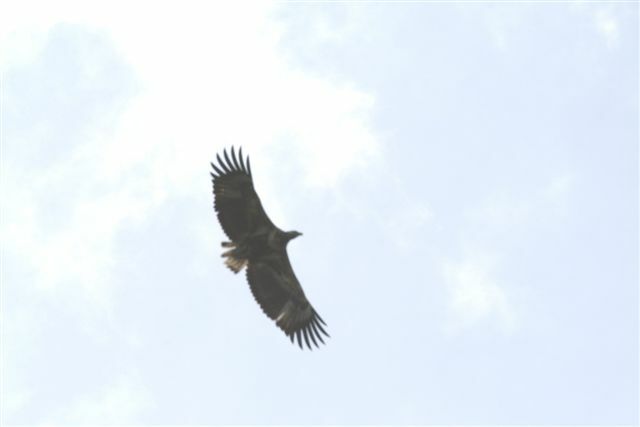 Wildlife, wild places and wild times in Angola! – 1970 to 2011. The Angola Field Group invites you to a presentation Thursday, December 15, at 8:00 PM at the Viking Club with renowned conservation scientist Dr. Brian Huntley, one of the fathers of Angolan ecology. He will present an illustrated talk on the rise, fall, and hopefully, resurrection of wildlife conservation in Angola. Everybody is welcome to attend the presentation which will be in English. In close cooperation with the Viking Club, this event is offered free of charge. Alcoholic and non-alcoholic beverages and snacks are sold at the bar, coupons must be purchased. The Viking Bar opens at 7:30 PM. If you would like to have a map showing the location of the Club, click here. The Viking Club is on the main floor of Predio Maianaga, Rua Marien N”Guabi, No 118, across the street from the new Panela de Barra restaurant. One of the fathers of Angolan ecology and conservation is Brian Huntley, a renowned conservation scientist who has worked across Africa and until recently headed the South African National Biodiversity Institute. 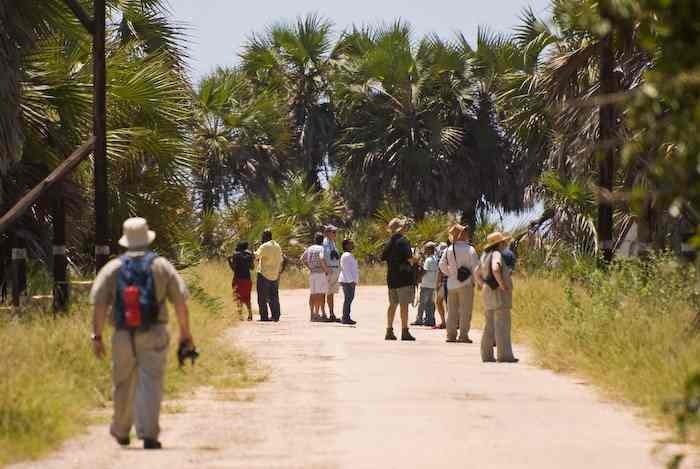 Huntley has played a major role in shaping environmental sensibility and research in Angola. His work includes the development plans for existing and new protected areas, as well as closely examining wildlife populations in the southern Namibe Desert right up to lush Cabinda rainforests in the north. 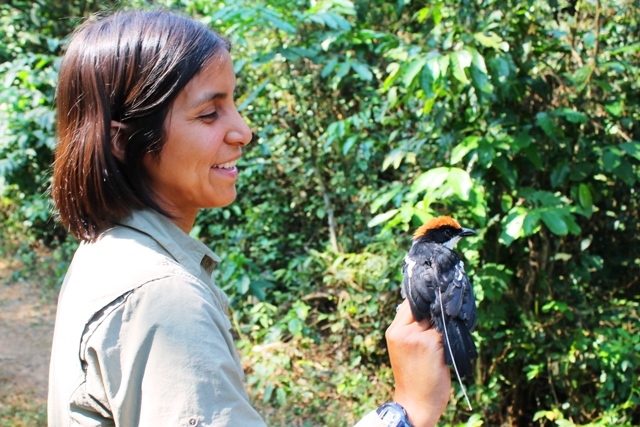 Huntley’s research has resulted in 28 separate reports on the conservation and management of biodiversity in Angola, many of which serve as the basis for mapping and current scientific research. Although officially retired, for the past year Huntley, Emeritus Professor at the University of Cape Town, has been working with the United Nations Development Programme (UNDP), developing an environmental programme for Angola in partnership with the Angolan Government. A large part of this is about creating the Angolan Protected Area Expansion Strategy (APAES) to preserve critical areas of natural interest. There are 11 target areas, mainly moist lowland, escarpment and montane forest systems, covering a total of 11800 square kilometers. As part of his APAES work, this year Huntley will be travelling to a remote part of Lunda Norte, one of the target areas, for a mapping exercise. The Lunda Norte team will be made up of mostly Angolan students, hand-picked by Huntley who is passionate about furthering home-grown scientific research. “For many years, perhaps as many as 30, there have been very few Angolan scientists and very few who have studied their own environment, which has led to some serious gaps in local knowledge” he said. “But I am quite encouraged by a new generation of Angolan graduates who are showing new enthusiasm to finding out more about their own country. Huntley said it was important that Angolans became interested in their own environment because it would foster a great sensibility in the future. “There are several generations who for various reasons are not familiar with environmental sensibility and until now, there has been a lack of political will to confront the issues,” he explained. He said much work was required to help Angola protect its valuable natural resources – but he said the outlook was increasingly positive. For more related posts click on our birds tag. 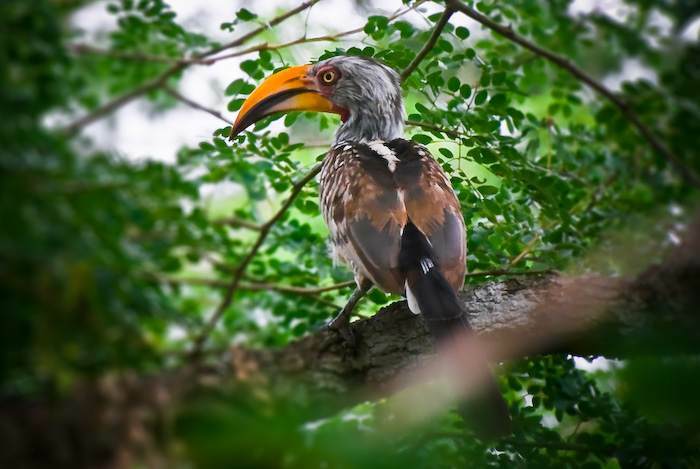 Angola is one of the countries in Africa with the highest bird diversity – 938 native species – including a high number of endemic and threatened species. 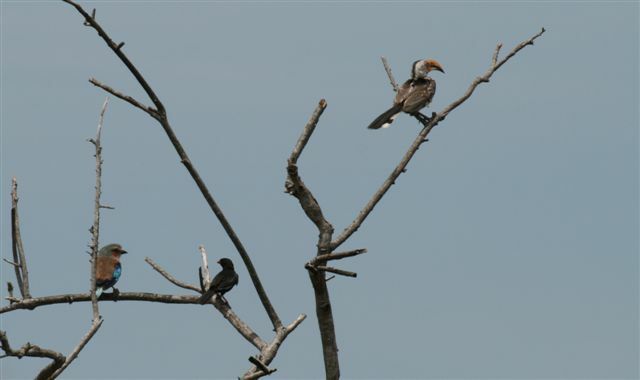 Despite its richness, Angola is still one of the least known countries for birds. This lack of knowledge is mainly a consequence of both the Portuguese Colonial war and the Angolan civil war which together lasted 41 years (1961–2002), halting scientific studies and expeditions. 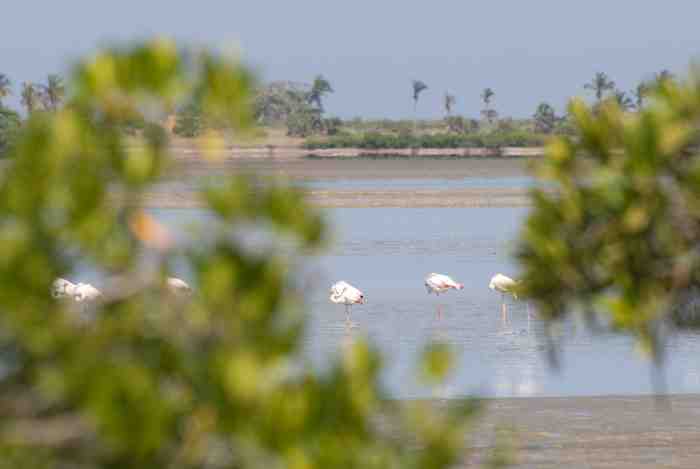 Read about Angola’s wattled cranes, wetlands and water towers in the August 2018 edition of the International Crane Foundation’s publication, The Bugle. “The highlands of eastern Angola are the most important water source in southern Africa, sustaining millions of people and abundant wildlife, including most of the world’s Wattled Cranes”. In April 2018 , the author’s article, Rich Beilfuss, the Foundation’s President and CEO, conducted the first-ever aerial survey of Cameia Naional Park and the surrounding Bulozi Plain of Angola – one of the largest freshwater wetlands in Africa. 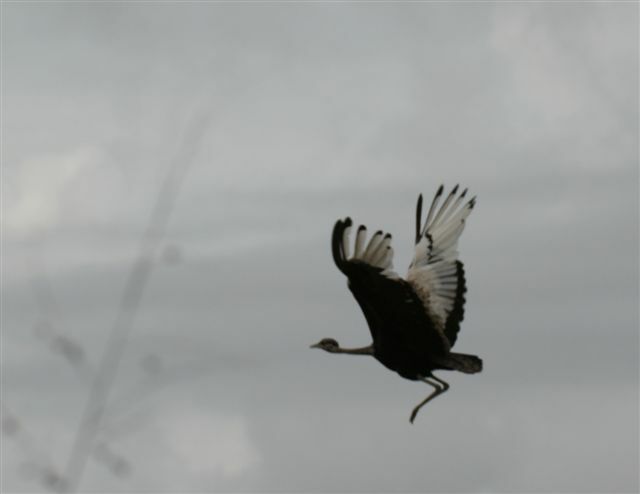 Their mission was to map the occurence of threatened Wattled Cranes and other large birds and mammals in this highly undocumented region “and to look for new conservation opportunities”. Click here to download the PDF. 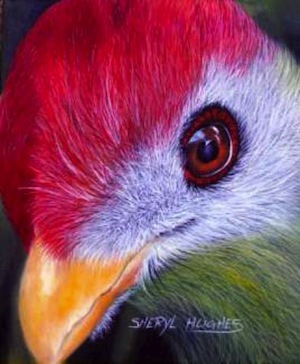 – From the Foreword by Brian Huntley to the newly published book, The Special Birds of Angola. 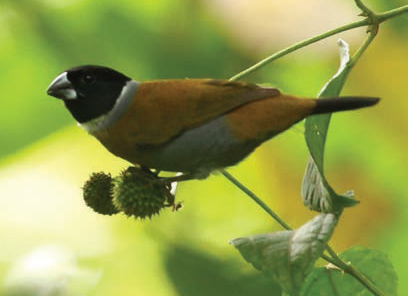 Click here to download the 2017 article “Drivers of bird diversity in an understudied African centre of endemism: The Angolan Central Escarpment Forest” in the journal Bird Conservation International. Authors: Aimy Caceres, Martim Melo, Jos Barlow, Ricardo Faustino De Lima, Michael S. L. Mills. 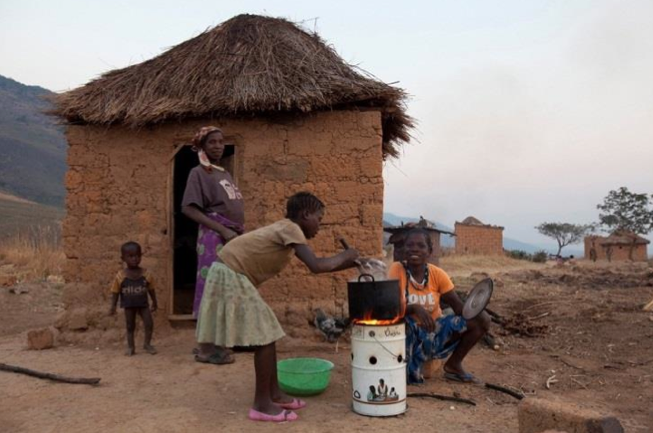 A highlight of the year was delivering 80 fuel efficient stoves to the community at Kanjonde. 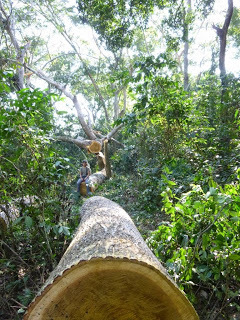 At Kumbira, seven weeks of field study were undertaken by Aimy Cáceres and colleagues, where a detailed study of Gabela Akalat range sizes and habitat use was undertaken, and tree biomass evaluated. 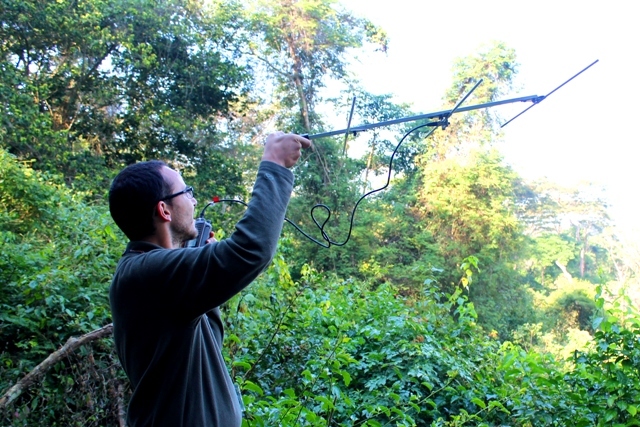 Aimy Cáceres radio tracking (left) a tagged Gabela Akalat (right). Additionally, good progress was made with the registration of the Associação Angolana para Aves e Natureza (the Angolan Association for Birds and Nature) with the registration certificate now issued. Other highlights include that the bilingual book on The Common Birds of Luanda was completed and will be launched with the launch of the NGO this year, 2015, and several peer-reviewed publications were produced. 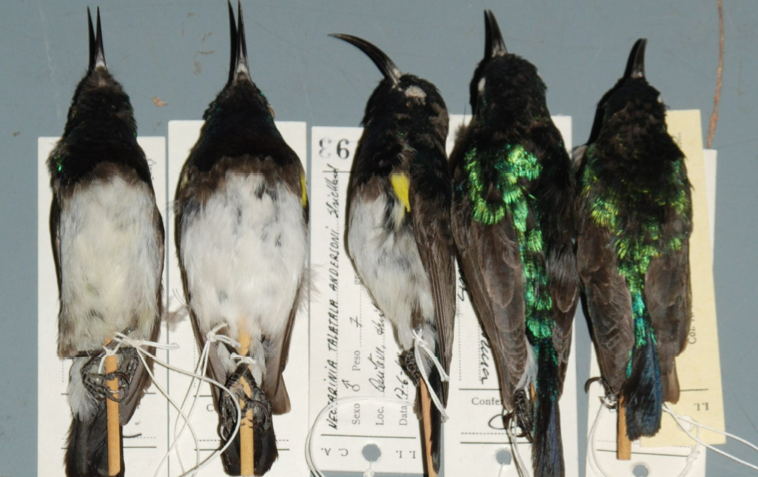 Click here to read this recent paper (March 2014) on historical data on birds of Angola based on the Angolan ornithological collection held by the Instituto de Investigação Científica Tropical (IICT) in Lisbon, Portugal. 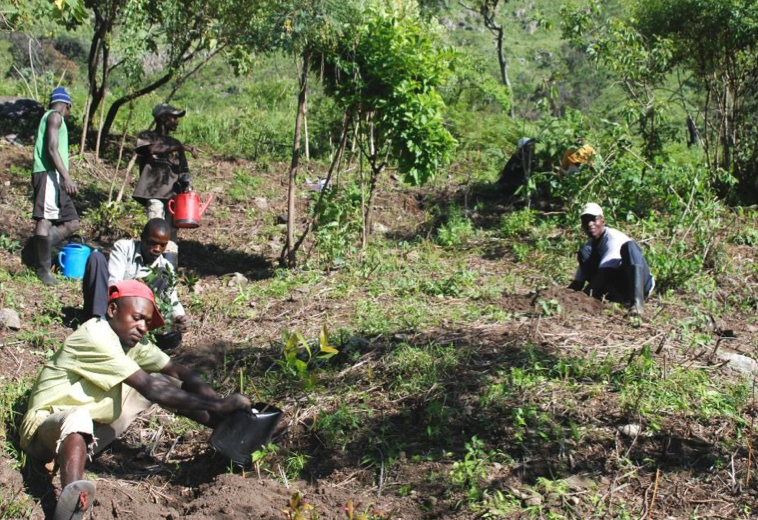 The challenge to prevent deforestation on Mount Moco, Angola’s highest mountain, continues in Huambo province. 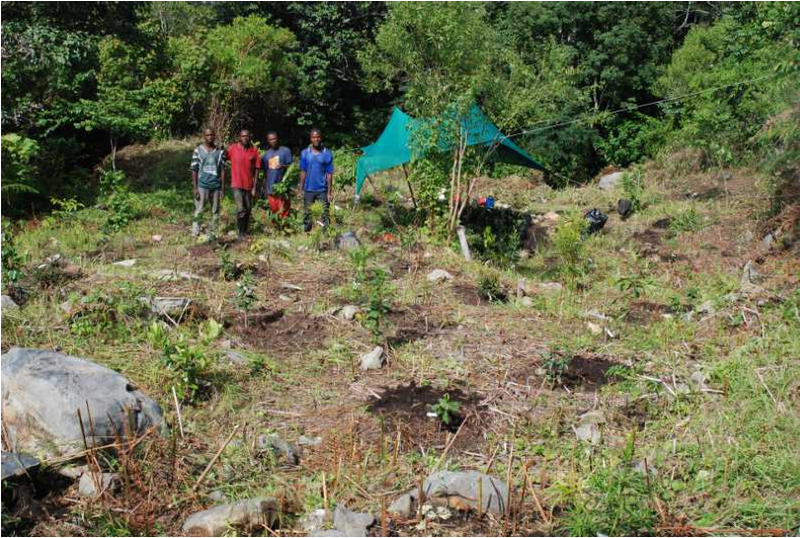 A total of 181 trees have been planted to date and there are 500 seedlings in the nursery, waiting to be planted. Click here to read Michael Mills’ latest report (February 2014). Click on cover to download. 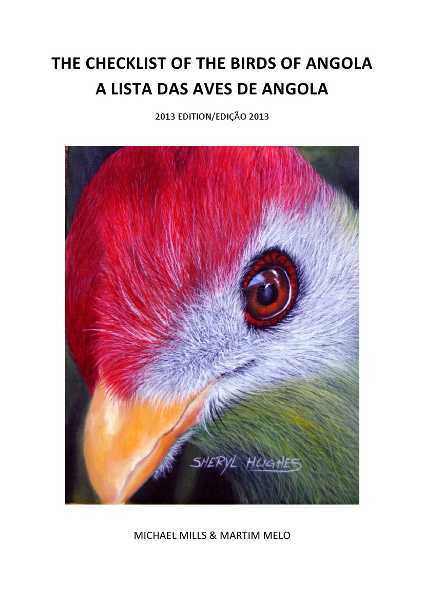 Michael Mills and Martim Melo have launched the first birder’s checklist of Angolan birds published in Portuguese and English. 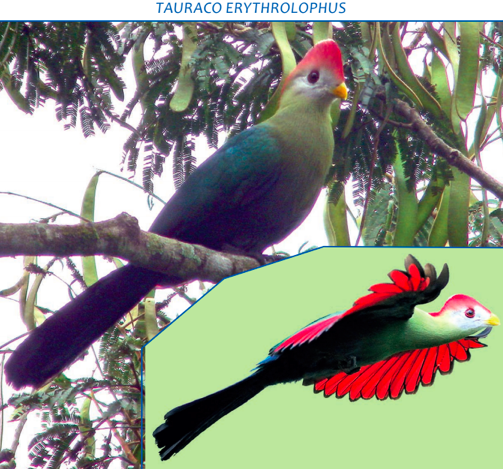 It is available for free in pdf format and can be downloaded on the Birds Angola website: www.birdsangola.org/birdlist.htm. Mount Moco Project Update Report: January 2013, available to read as a two page PDF here. 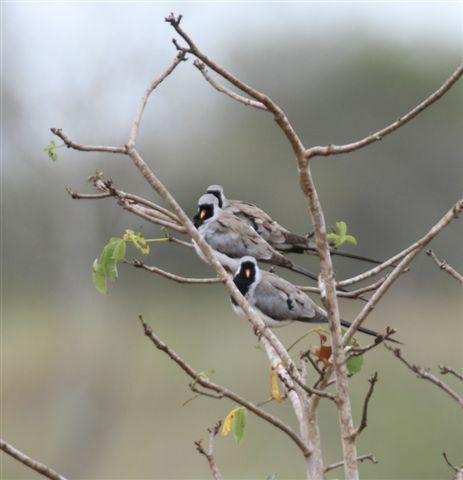 Notes on birds in the Lubango Bird Skin Collection, Angola 16-18 January 2013 by Michael Mills, member of the Angola Birders. “During January 2013 I had the privilege of visiting the Lubango Bird Skin Collection in Angola for three days, to study some of the 40000 bird skins in the collection. This was the first step at studying various taxonomic questions related to Angolan birds, and clarifying various identification questions. Some notes based on this visit follow…” Click here to download the report (it is a 13 MB PDF due to many photos). Birds in the Lubango Bird Skin Collection. Photo courtesy Michael Mills. To download the 10 page report (PDF) click here. The egg collection of the weavers in the Lubango Museum has been digitised and added to PHOWN (photos of Weaver Nests, http://weavers.adu.org.za/phown.php). Read more about this data at http://weavers.adu.org.za/newstable.php?id=240 or go directly to a listing of the records at http://weavers.adu.org.za/phown_query.php?ask=Angola. 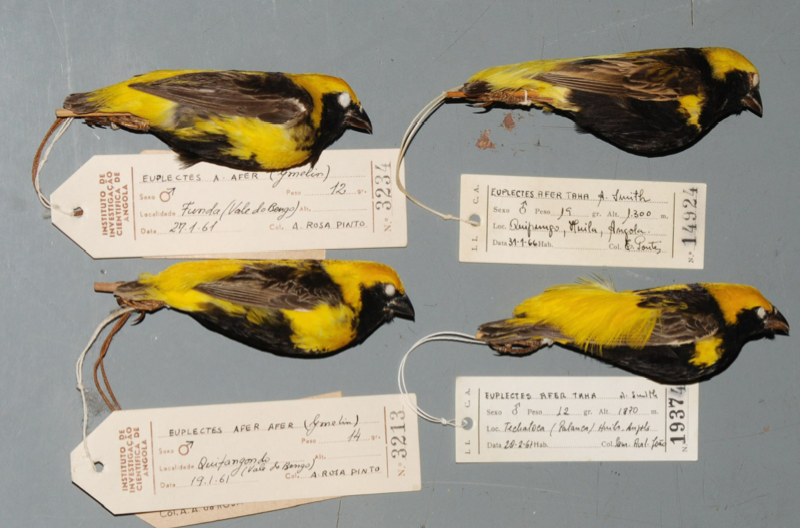 PHOWN is a Virtual Museum, citizen science project of the Animal Demography Unit at the University of Cape Town, to collect and monitor breeding distributions and colony sizes of weaver birds globally. Thank you to avid birder Michelle de Cordova for sharing this list of birds she spotted in her garden in the Alvalade area of Luanda. 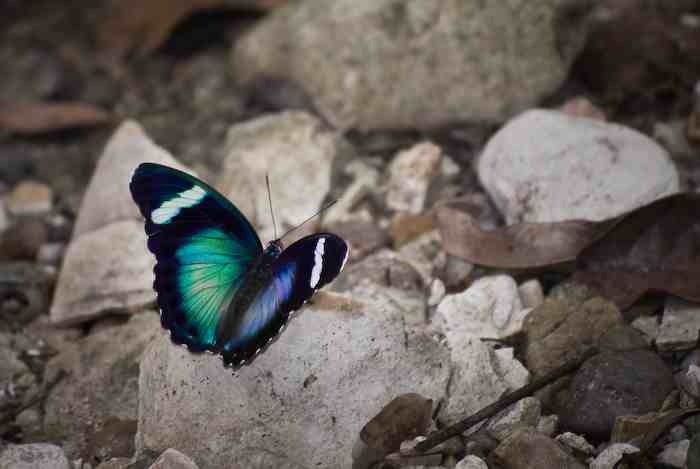 View some incredible photos taken by Kostadin Luchansky during our January 6 birding trip here. You have searched the archives for brian huntley. If you are unable to find anything in these search results, you can try one of these links.